Geberit Australia has been operating since 2002, specialising in inwall installation systems for the architectural and construction industry. Products include inwall cistern and flush/actuator plates, rainage systems for roofing with roof outlets, HDPE pipes and fittings, exposed slim line cistern Monolith, flushing actuators, bathroom systems and flushing valves. What are the benefits of a Geberit concealed cistern compared to standard cisterns (ie. close coupled or front of wall)? A back to wall pan is a floor standing pan that is pushed back to the wall with no gap. What are the benefits of mechanical flush compared to pneumatic flush? Access for any service or maintenance issues is through the flush plate. Pneumatic cisterns will be located within a remotely mounted position. What are the benefits of a pneumatic flush concealed cistern? A Pneumatic flush will give you a greater minimalistic look. What is the Geberit hotline phone number? 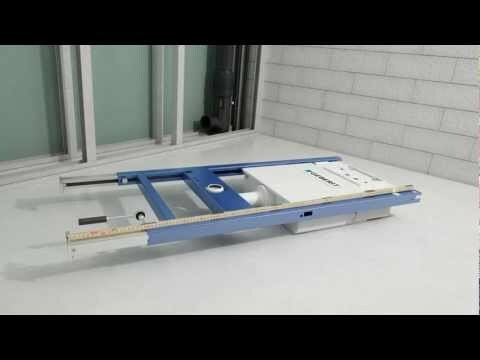 How much weight can a Geberit frame hold? Geberit Duofix cistern frames are tested to support 400 kg static weight. 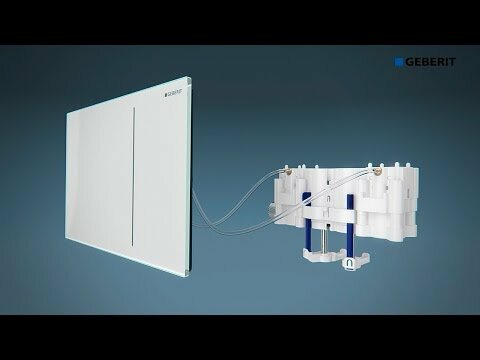 Where can I buy Geberit cisterns and flush plates? 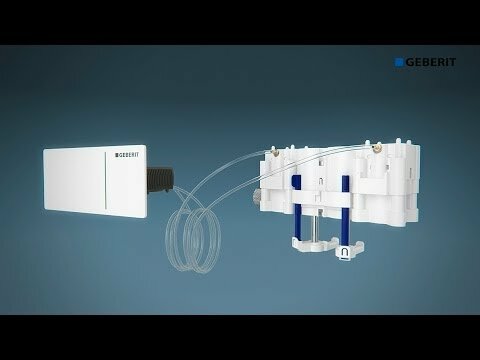 How can I identify my Geberit cistern? Which Geberit flush plates fit which Geberit cistern or cistern with a Duofix frame? What toilet pans are compatible with Geberit cisterns? Geberit concealed cisterns are WELS approved to be paired with any approved manufacturers pan. What standards and approvals do Geberit cisterns comform to? All Geberit cisterns have Watermark and WELS approval. To find out more about certificates please ring 1800 GEBERIT (1800 4323748). Is Geberit a German brand? Geberit is a Swiss brand established in 1874 by Caspar Gebert. Geberit is represented in over 100 countries world-wide. Where do I find information on pricing for Geberit cisterns and flush plates? 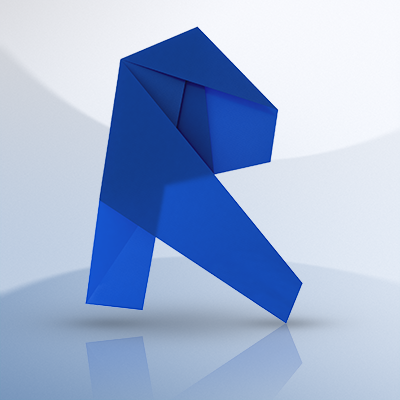 Recommended Retail Prices (RRP) are available on the Geberit website or contact your local plumbing supplier. Can I buy Geberit products directly from your warehouse? Geberit is a wholesaler however plumbing suppliers can be found on the store locator on the Geberit website please click this link. 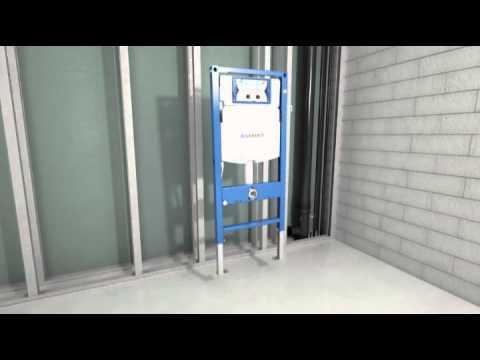 Where can you install a Geberit concealed cistern? 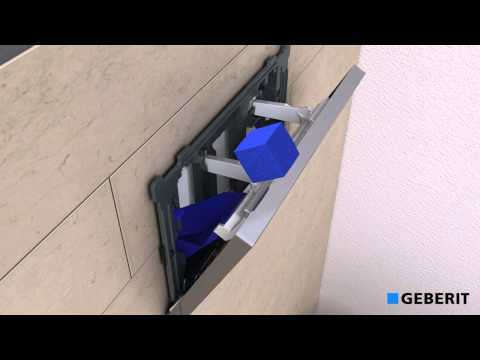 Who can install a Geberit concealed cistern? What if my plumber doesn't know how to install a Geberit concealed cistern? 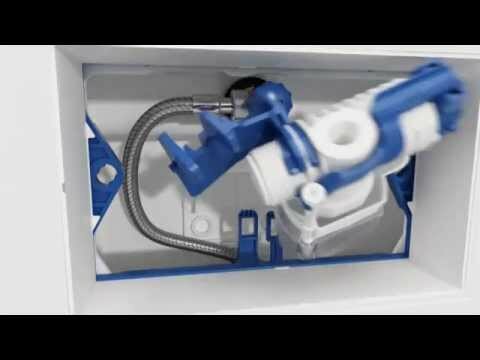 How do I gain access to a Geberit concealed cistern once it is installed? What do I need to do if I have a service issue and it is within the warranty period? What do I need to do if my cistern valve leaks? Where do I buy spare parts for Geberit cisterns? 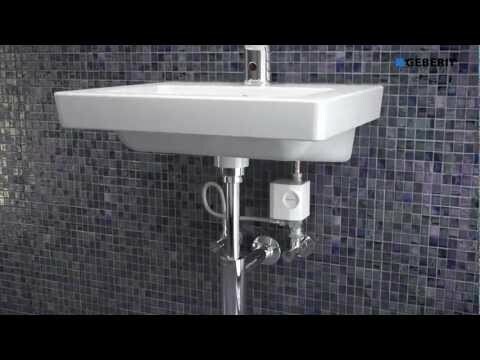 Many plumbing merchants and boutique bathroom stores carry Geberit spare parts. Look up a retailer close to your address online. Spare parts are available for 25 years after the last date of product manufacture. What do I do if I didn't retain the invoice and I have a service issue within the warranty period? Contact the store that you purchased the product from and try to get a copy of the invoice. How do I remove/service the valves in my cistern? What cleaning agent can I use on my flush plate? Never use aggressive cleaning agents that are abrasive or corrosive. All that is required to clean the flush plate effectively is a soft micro fibre cloth. What do I do if I need technical support after office hours? What if the flush plate I bought does not match the cistern? Contact your supplier to raise the concern. How long is the warranty for a Geberit cistern? 10 years on the HDPE cistern and the Duofix frame, 3 years on the internal valves, 1 year on the valve washer from the date of manufacture. How long is the warranty for a Geberit flush plate? All Geberit flush plates come with a 3 year warranty.